The Prince Kuhio Commemoration Parade, sponsored by the Association of Hawaiian Civic Clubs, was held Saturday. 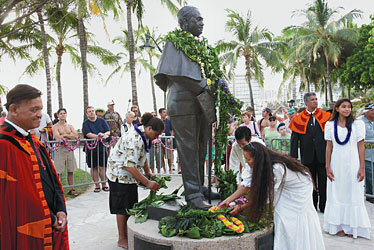 Participants marched through Waikiki along Kalakaua Avenue, and each group of marchers stopped at the prince's statue to leave leis and pay tribute. Born on March 26, 1871, Jonah Kuhio Kalanianaole was prince of the reigning House of Kalakaua when the kingdom of Hawaii was overthrown in 1893. 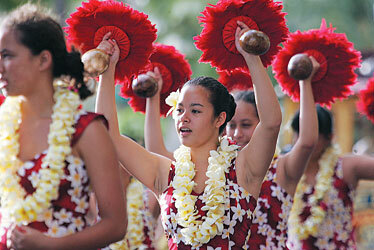 Blaire Tolentino and other members of Ka Pa Hula O Kalei Hulu Hiwa danced hula at stops along the parade route. 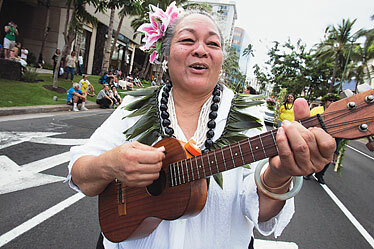 Charlene Kalae Campbell played ukulele and sang Saturday as she marched with the Ewa-Pu'uloa Hawaiian Civic Club. 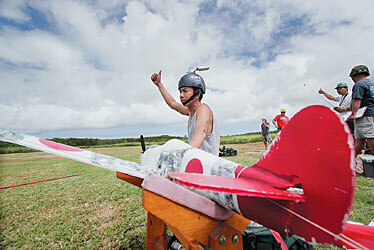 Sonny Giang gave a thumbs-up before sending his plane into the air yesterday during a radio-controlled airplane combat contest at the model plane field on Kapaa Quarry Road. The contest drew 24 entrants. They tied 30-foot ribbons to the tails of their planes and engaged in dogfights to try and cut the ribbons off the planes. 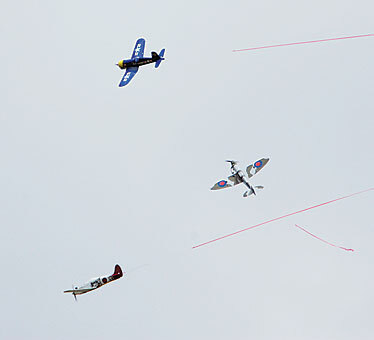 Planes chased each other during the contest. 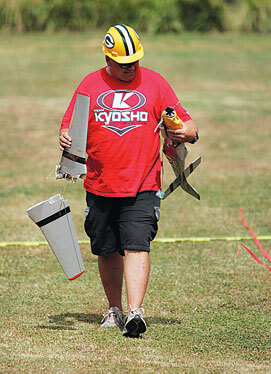 Greg McNabb looked over the wreckage of his plane that was involved in a midair collision.